No matter where you look, there’s an app to solve most day-to-day problems. The workforce is no exception. However, a major pain that even the most innovative technology can’t seem to remove from our workdays: meetings. While meetings can be helpful for getting teams on the same page, an astonishing 67% of meetings are unproductive. 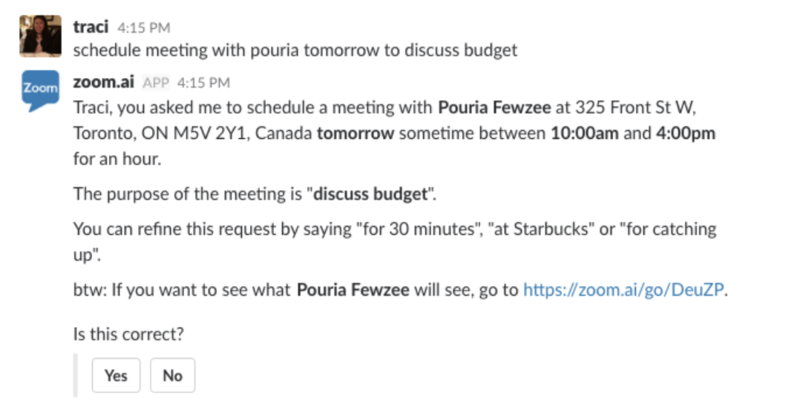 Imagine booking your meetings without even opening up your web calendar. 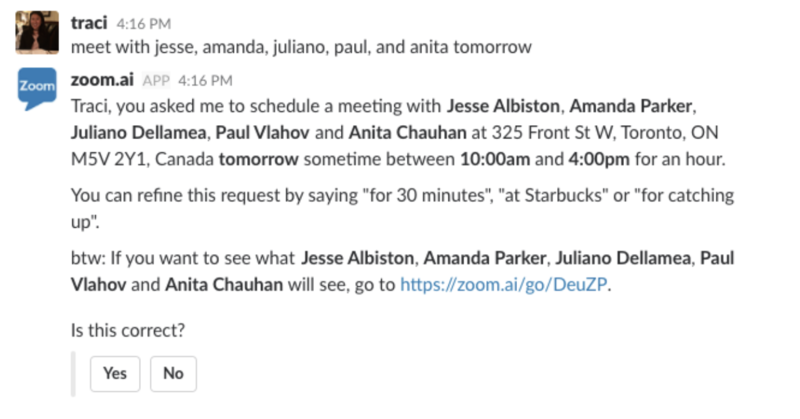 As seen above, Zoom.ai chose the times of 10:00 AM – 4:00 PM to set up meetings. In your Settings, you can see that as you use it more, Zoom.ai learns your preferred times for breakfasts, lunches, and meetings. However, you also have the option of adding in the times you prefer manually. 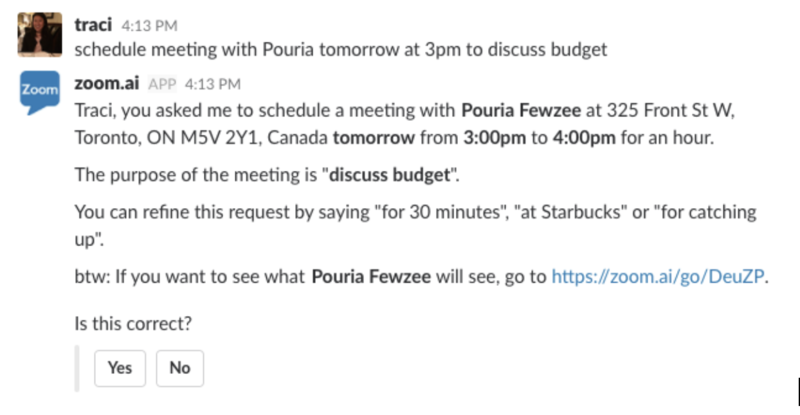 You can also change the days you are available for meetings and add in designated “down time”, to ensure your day doesn’t become a block of meetings. While meetings have become something we all collectively dread, they remain necessary to the growth of a company. Maintaining collaboration and communication through the company, there are undoubted positives to them. Don’t let them be a death sentence; consider taking out the guesswork from meeting scheduling and automate them. Get started now, or contact us to learn more about the product.